Creating great cards does not need to be complicated. 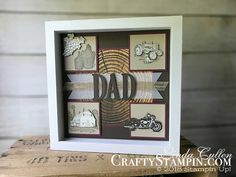 This great card made with the Stampin’ Up! 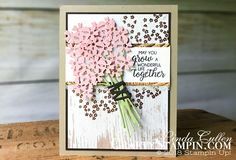 Incredible Like You Stamp Set is simple and stunning. It combines the Share What You Love Specialty Designer Series Paper and Whisper White Polka Dot Tulle Ribbon for a perfect simple card. The flower is two different pieces allowing the stamp the flower separately from the stem.